Michael Peryer's latest book The Lost Cows is the retelling of a remarkable true story of a sight never before seen on the beaches of Kāpiti's coastline. The event which happened on a stormy night back in 2012 involved the escape of 42 young cows from a farm in Te Horo. The story starts with Micheal telling of the stormy night. "Late one night, there was a terrible storm. Lightning flashed and thunder crashed, and wind roared all around the Kapiti Coast." Beautiful illustrations by Susan Wildblood. 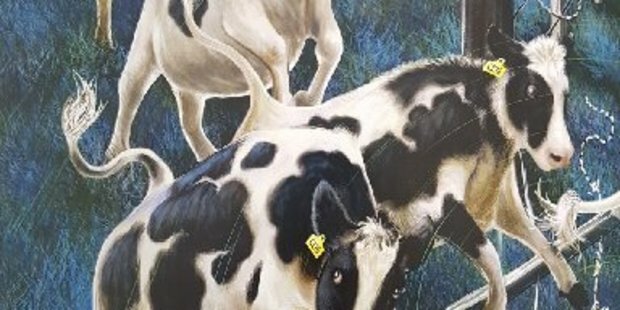 Travelling 8km overnight from their Te Horo home to the Waikanae estuary, the beautifully illustrated story tells what happens next and the adventure that takes place to get the cows home. 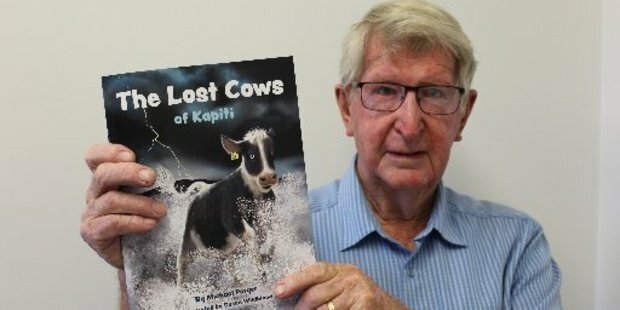 Having told his stories on local radio stations for the past 11 years The Lost Cows is Michael's fifth published children's book. His first four tell of the adventures of Sammy the Seal, true tales of wildlife on the Waikanae Estuary in what will be a five part series. With more than 50 birds featured, the books teach the parents as well as their children about the local bird life. Having led bird spotting tours around the Waikanae estuary for many years, Michael has been producing a monthly newsletter to share his tales with his adventures of Sammy the Seal and The Lost Cows just a couple of the many stories he has to tell. Illustrated by local artist Susan Wildblood, Micheal said, "Once I had written The Lost Cows and Sammy the Seal books, the best part was watching the illustrations taking shape."